Days after Megyn Kelly’s controversial blackface remarks landed her in hot water with NBC, CNN host Don Lemon is criticizing both the network and Kelly’s management for her firing and for the cancellation of her show Megyn Kelly Today. “They knew exactly what they were getting when they hired Megyn Kelly,” added Lemon. Unlike a number of other African American on-air personalities--including Al Roker and Amber Ruffin, both of whom were praised by NBC for lashing out against Kelly--Lemon refrained from accusing Kelly of racism. Instead, he suggested that she may have simply spoken in ignorance,"unaware of the history." “I think that the management has to take some responsibility in it, she has to take some responsibility in it, and also her representatives have to take some responsibility in it,” Lemon stated. Kelly found herself in trouble when, during a round-table discussion on a Tuesday segment of “Today”, she wondered aloud why the use of blackface for a costume was automatically racist. Although Kelly issued an apology on her show the following day, she was eventually fired. Kelly’s NBC producers, according to a source who reportedly attended Wednesday’s town hall meeting hosted by NBC News Chief Andy Lack, were reportedly “blindsided” by Kelly’s on-air comments. Producers were allegedly under the impression that the panel discussion--comprised of four white panelists, including Kelly--was simply going to be about Halloween. “Literally no one knew she was going to go there,” claimed the source. 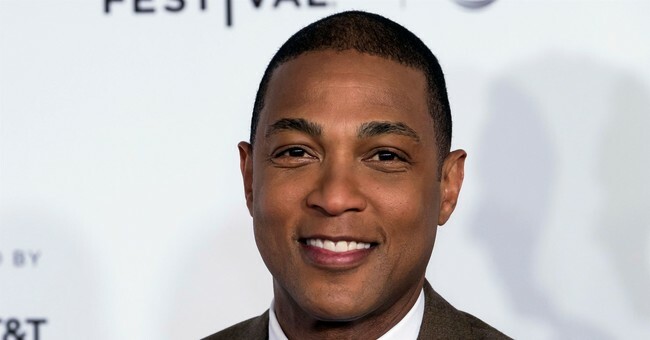 During the segment with Don Lemon, host Chris Cuomo contended that NBC might not get out of its scrape with Kelly unscathed, saying Kelly was likely receiving a $69 million buyout for leaving her show. As of Thursday, Kelly’s lawyer Bryan Freedman had plans to meet with NBC to discuss Kelly’s potential future at the network.